Master Reset Galaxy S8/S8+ - If you got Samsung Galaxy S8 problems, perform a Galaxy S8 factory reset with our tutorials tips and tricks. 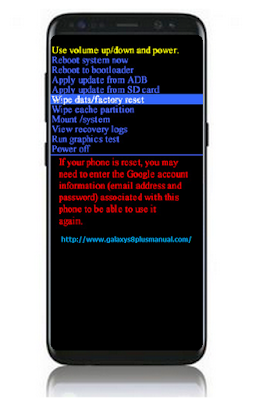 Samsung Galaxy S8 Factory Reset Protection (FRP) prevents other people from using your device if it is reset to factory settings without your permission. 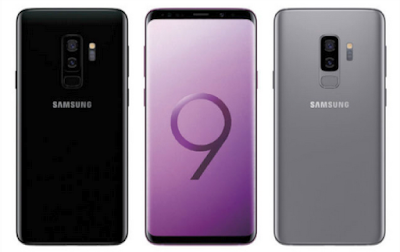 Samsung Galaxy S8 and Galaxy S8+ are Android smartphones produced by Samsung Electronics as part of the Samsung Galaxy S series. When you sign in to a Google Account on your device, Factory Reset Protection is activated. 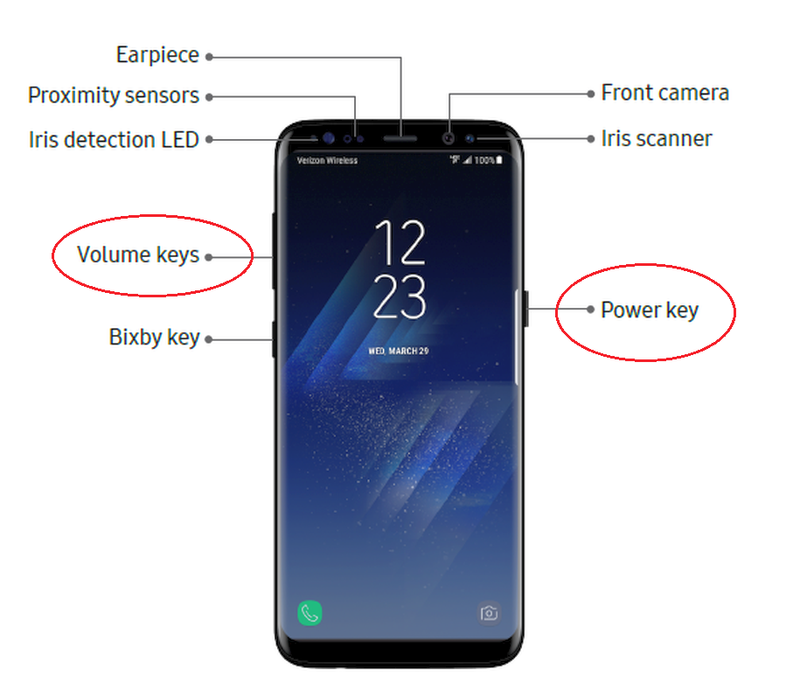 For example master Reset Galaxy S8+ cause: if your device is lost or stolen and a factory data reset is performed, only someone with your Google Account username and password can use the device. You will not be able to access the device after a factory data reset if you do not have your Google Account username and password. Before shipping your device back to Samsung or taking it to your nearest Samsung-authorized service center, you should remove your Google Account before resetting the device back to factory settings. For more information, visit: samsung.com/us/support/frp. Adding a Google Account to your device automatically activates the Factory Reset Protection (FRP) Galaxy S8 security feature. To disable FRP, remove all Google Accounts from the device. Tap Settings > Accounts > Google. If you have more than one Google Account set up on your device, tap the Google Account you want to remove. Tap More options > Remove account. Tap Settings > Backup and reset > Reset settings. You can reset Wi-Fi, Mobile data, and Bluetooth settings with Reset network settings. Tap Settings > Backup and reset > Reset network settings. You can reset your Galaxy S8 factory reset to defaults, erasing all data from your device. This action permanently erases ALL data from the device, including Google or other account settings, system and application data and settings, downloaded applications, as well as your music, photos, videos, and other files. Any data stored on an external SD card is not affected. When you sign in to a Google Account on your device, Factory Reset Protection is activated. This protects your device in the event it is lost or stolen. If you reset Galaxy S8 to factory default settings with the Galaxy S8 Factory Reset Protection (FRP) feature activated, you must enter the user name and password for a registered Google Account to regain access to the device. You will not be able to access the device without the correct credentials. If you reset your Google Account password, it can take 24 hours for the password reset to sync with all devices registered to the account. Verify that the information you want to keep has transferred to your storage area. Tap Settings > Backup and reset > Factory data reset. Tap Reset and follow the prompts to perform the reset. When the device restarts, follow the prompts to set up your device. If the methods above do not solve your Galaxy S8 problem, perform a Galaxy S8 factory reset. 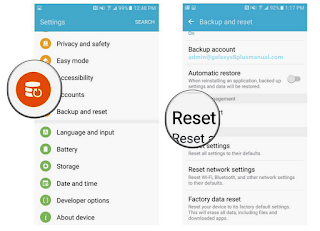 On the Apps screen, tap Settings → General management → Reset → Factory data reset → RESET DEVICE → DELETE ALL. Before performing the factory data reset, remember to make backup copies of all important data stored in the device. If you registered a Google account to the device, you must sign in to the same Google account after resetting the device. Delete all settings and data on the device. Before performing a factory data reset and Galaxy S8 Master Reset, ensure you back up all important data stored on the device. 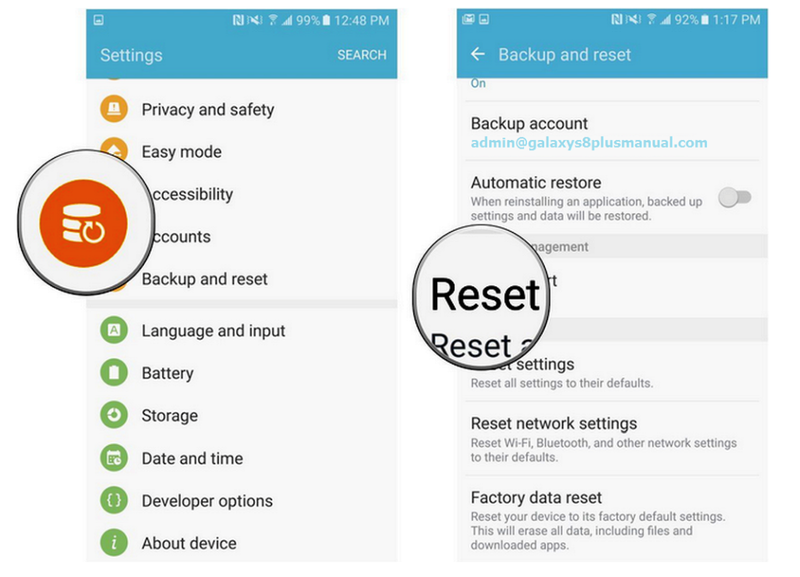 On the Apps screen, tap Settings → General management → Reset → Factory data reset → RESET DEVICE → DELETE ALL. The device automatically restarts. 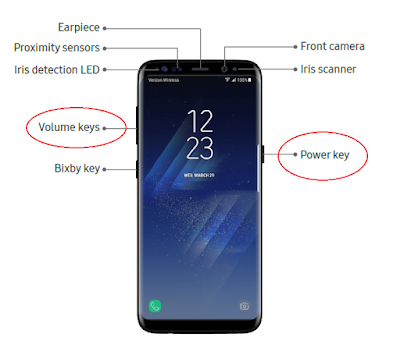 Press and hold the Power key and the Volume Down key simultaneously for more than 7 seconds to restart it. Check for and install available software updates for your device. Tap Settings > System updates > Check for system updates.